We’re now on to the second last week of the fall 2013 anime series (except for Nagi no Asukara). It’s been quite a ride but unfortunately, all things must come to an end eventually. 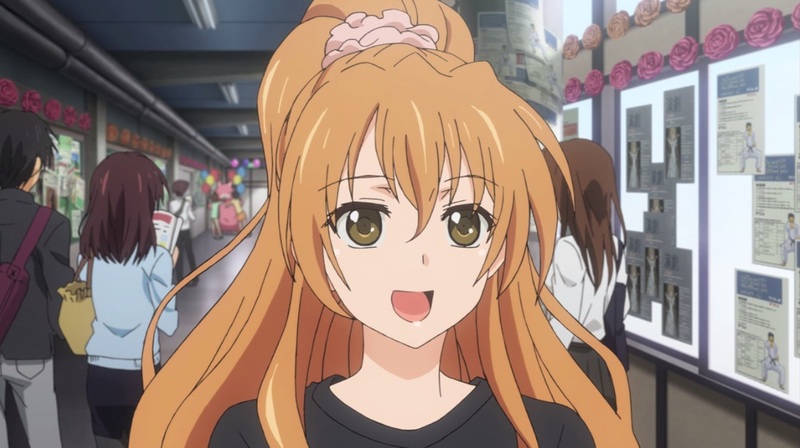 This week I’ll be discussing Tokyo Ravens episode 23, Samurai Flamenco episode 21, Nagi no Asukara episode 24, Golden Time episode 23, and Kill la Kill episode 23. It’s hard to believe that there is only one episode left. With a bit of slow pacing at times, we’re now at a point where we have so much going on everywhere but only 20 minutes to resolve it all. The beginning of the episode finally gave Tenma some of the spotlight. Despite being part of the main cast, he never really got a chance to do anything. Being surrounded by all of these strong people made him feel inferior and insecure. However, that was actually how he ended up being useful. By being useless, he was able to be useful since no one expected anything from him which allowed him to bypass being monitored. Aside from that, I don’t really have much to say about this episode. I’m hoping we get to see at least a bit of the Yakou’s true power in the final episode since he’s been hyped up so much throughout the entire series. 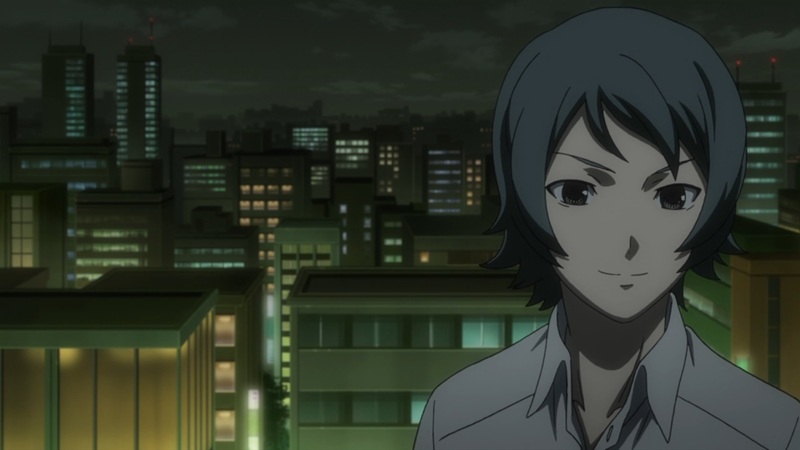 Masayoshi has been driven into a corner by this Sawada Haiji. Everyone close to him is being harmed because of his existence and it’s driving Masayoshi insane. He even begins contemplating suicide. If he’s no longer around, then surely Haiji would have no more reason to torture the people he cares about. However, there was no guarantee that Haiji would just stop and if Masayoshi did kill himself, there would be no one left to stop him. After speaking with Jouji, he realizes that his friends believe him and confirm that Haiji isn’t just a figment of his own imagination. 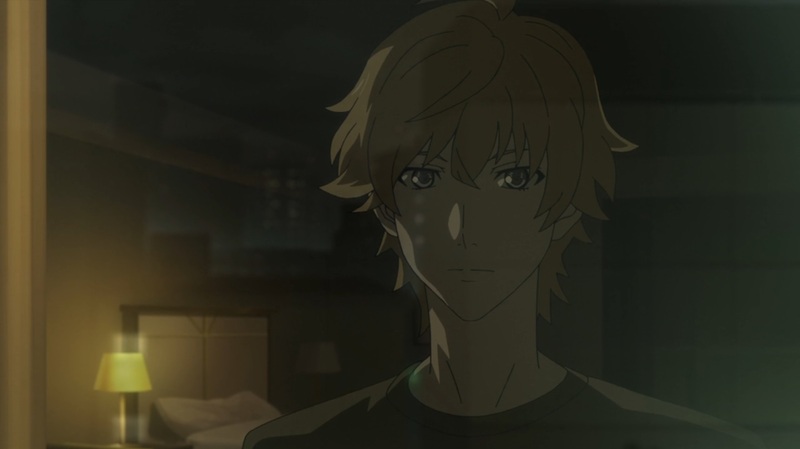 Growing up as a kid, Masayoshi was so absorbed in superheroes that he never really understood the concept of love. His parents were murdered at a young age and his grandfather emerged him in the world of superheroes. This helped Masayoshi get through what would otherwise be a difficult moment in his life. It helped him cope and molded him into the man he is today. 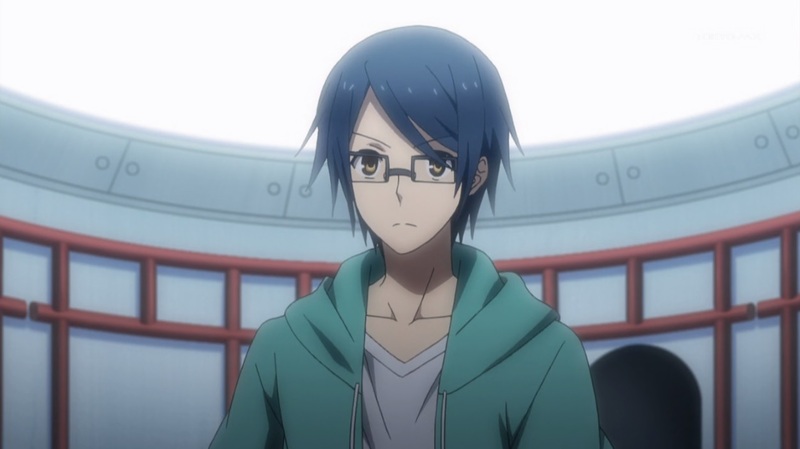 Ishihara helps him realize that he’s been surrounded with love the entire time. All the friends he’s met, all of his fans, and his family have always loved him even if he didn’t notice it before. Haiji’s character is also developed a bit more. We already had a brief introduction on his motives but after his school life was revealed, it became clear what kind of person he was. Someone who doesn’t really have any goal in life, just kind of goes along with the flow and never having any real interests or personality. 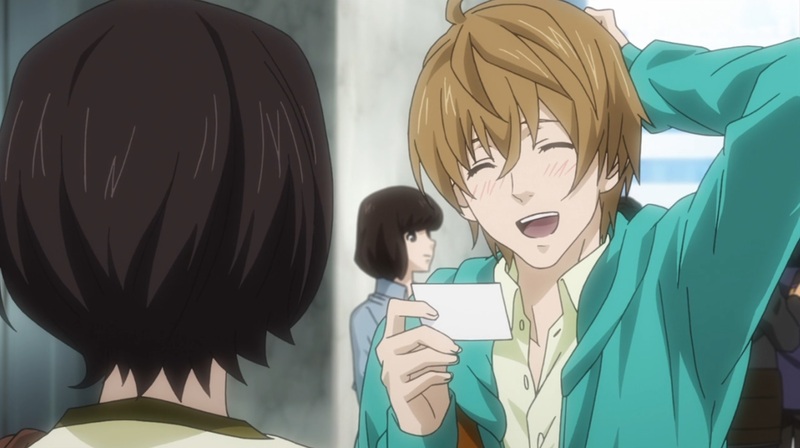 Seeing Samurai Flamenco just made something click in his head. Seeing something so out of the ordinary, he finally found something that he was passionate about and as a result, he turned that passion into an obsession. Only one more episode to go for Samurai Flamenco, and boy has it been a crazy ride. It had me losing interest mid way in the series but they’re looking to end it strong. Tsumugu finally confesses his feelings to Chisaki. However, Chisaki doesn’t want to accept it and rejects him. She’s still unable to face her insecurities that have plagued her since her childhood. It seems that she has a fear of being happy. Its almost like she feels that she doesn’t deserve to be happy. Growing up as a child, she was jealous of Manaka for receiving all of Hikari’s attention and had some ill-thoughts regarding her and Tsumugu. Had Manaka and Tsumugu fallen in love, she felt that she may have had a chance with Hikari. It’s only natural to feel these sort of emotions but Chisaki felt guilty for being jealous and envious of others in the past. As a result, she feels like she has to keep loving Hikari since she knows that he’ll never feel the same way, leaving her to be hurt as a sort of punishment to help her cope with the guilt. Sayu also had her moment with Kaname. I really liked how her confession played out. Sayu managed to get everything off of her chest, all of the feelings she had kept pent up for the last five years. 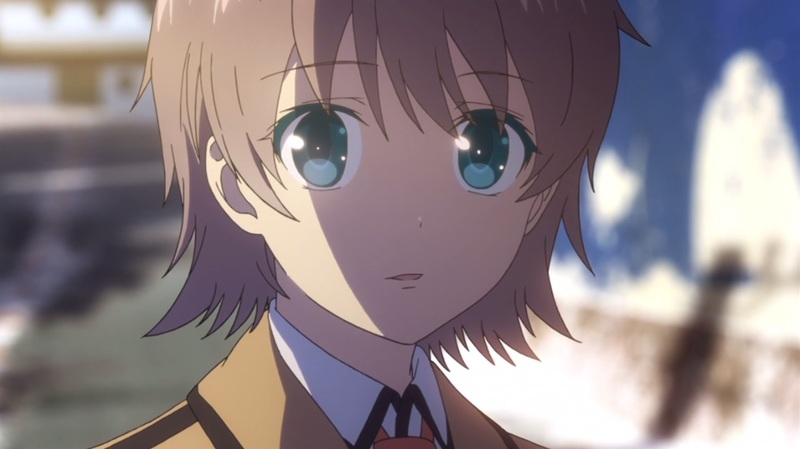 We also got to see another side of Kaname. He always played a calm and reserved member of the group. In reality, he has his own insecurities just like anyone else. He had always been kind of a fourth wheel in his own group since Chisaki, Manaka, and Hikari were so close. After waking up, he has to live with Chisaki and Tsumugu which made him feel like an outsider once again, being a third wheel in their relationship. Kaname’s response to Sayu was realistic and mature. Rather than just instantly falling in love with her or flat out rejecting her, he changed his way of looking at her. She’s no longer a little kid and he’ll be treating her as an actual woman now and see how things turn out in the future. Kouko was suffering a lot from Banri’s little freak outs. She was an insecure and lonely person in the past but Tada Banri showed her a whole new world and helped her find herself. She’s found someone she can trust and share her true self with. With Banri’s past memories coming back, Kouko would be losing a major part of her life. Banri was the one who helped her get out of her shell and make all these friends. She still wants to be with him but at the moment, its causing too much pain for the both of them. I think the highlight of the episode for me was Banri’s monologue at the end of the episode. We can only live in the present, and as soon as something happens in your life, it turns into a memory and is in the past. People are always changing and the person you are today may not necessarily be the same as yesterday. As we live, we experience new things on a constant basis that shapes us into who we are. The tone of the series has changed quite a bit from the last few episodes. Everyone is united against Ragyou and have all put their differences aside. 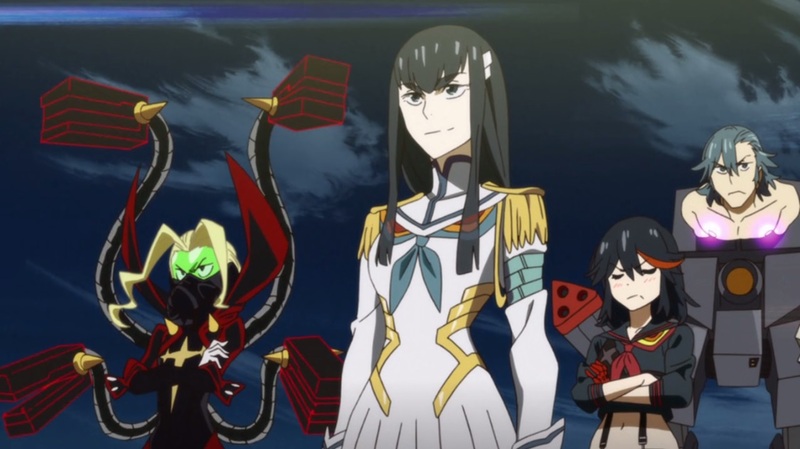 Satsuki no longer acts alone and now relies on her comrades. She knows that she’s no match for Ragyou and the life fibers but perhaps they stand a chance if they all fight together. Satsuki is no longer looking down on others and is treating them more like equals. Overall, she’s changed a lot since her loss to Ragyou. She knows that she has comrades and friends who would follow her to the ends of the earth. She’s no longer using her underhanded tactics to accomplish her goals. Instead, she’s working together with everyone as equals. That’s it for this week of continuing fall anime series. I’ll probably post my thoughts on these series as a whole in the coming week as they conclude. Since Nagi no Asukara does carry on for an extra week, I’ll probably make an end of series review for it since there’s a lot to be discussed about the show (and I don’t want to make a fall leftovers #13 with only one show in it).